There are only three main ingredients to get your website online and improve the visibility of your business online. The first one is a domain, the second is hosting, and the third is search engine optimization, which improves website visibility. The Internet is developing at a faster rate, and many people are trying to figure out how they can have their website or business online. Now the problem is the people who don’t have enough knowledge in web services and don’t know where to start. First buy a domain, then hosting package. Everyone knows about the Domain, which is nothing but an address. A hosting account is very crucial for every website to have or else, your website won’t begin at all. Note – Google is a search engine, there is no such thing as google hosting. To explain the hosting services in simple way possible, we are going to use simple reference. First, to build your house, you need space or land, right? Similar way, you need space to build your website. Now coming to the domain, it is nothing, but an address to visit your house. So, domain is a path to find your website. A hosting package comes in different categories like Linux web hosting, Windows, and Cloud. Linux web hosting is the cheapest one, while could is the most expensive one. To host a localhost website, you can select Linux web hosting package, if you are running a heavy site, then move to cloud. Coming to the Windows host unlimited, the price is slightly higher than Linux web hosting, so it better that you avoid Windows package unless you have a web application to run on the website. Every hosting site has a different interface so it would be difficult for us to show you exact instructions step-by-step. 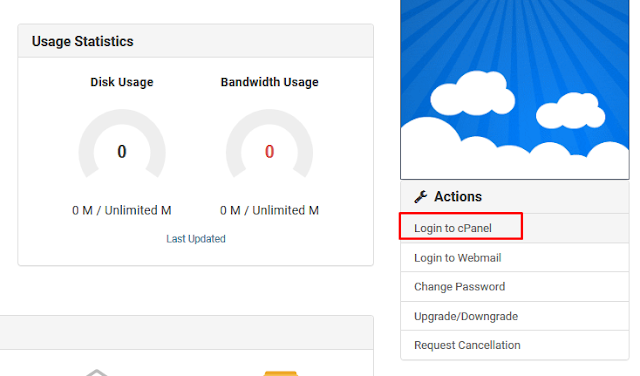 We will begin from the cPanel, so you are on your own until you reach cPanel. Step 1: First login, find services, then select hosting package, access cPanel. Step 2: Now you have two options if you are planning to host your website on WordPress or any other script, then you can select “Softaculous”, or you can upload your custom site. WordPress – First, search for “Softaculous” or scroll down until you find it. Select the script; you want to install. Your script will be installed automatically that also includes MySQL database. Now moving to the second part, adding your custom website manually. You have to add website files in the file manager. The easiest way to add website is to compress the website into. RAR file using Winrar, then upload it to the PUBLIC_HTML, then extract the files. Step 3: You have to create MYSQL database depending on your custom website requirement. Using the Wizard, you can create new MYSQL database.